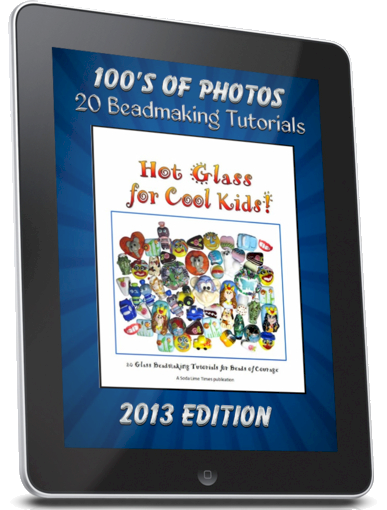 The release of the exciting new “Hot Glass for Cool Kids” glass beadmaking tutorial eBook for 2017 is a timely opportunity for me to tell you just how much I treasure your support of the Beads of Courage mission. The eBook includes three new tutorials featuring a twistie snake, a pumpkin, and a pretty cottage garden. We hope these creative designs inspire you to make and donate beads during Bead Challenge and throughout the year. 112 pages of step-by-step tutorials for the low price of just $20.00. One Hundred (100%) percent of the proceeds of the sale of this book goes to Beads of Courage. Each artist contributed their time and talent. Soda Lime Times Publisher and Editor in Chief, Diane Woodall, also contributed her time, talent and resources to convert the book from dream to reality. Our thanks to all that made this work special by being a contributor. 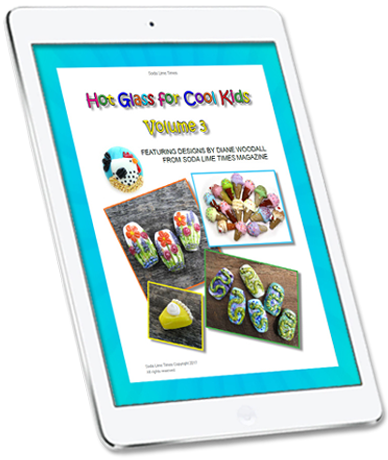 Check out the original Hot Glass for Cool Kids below. 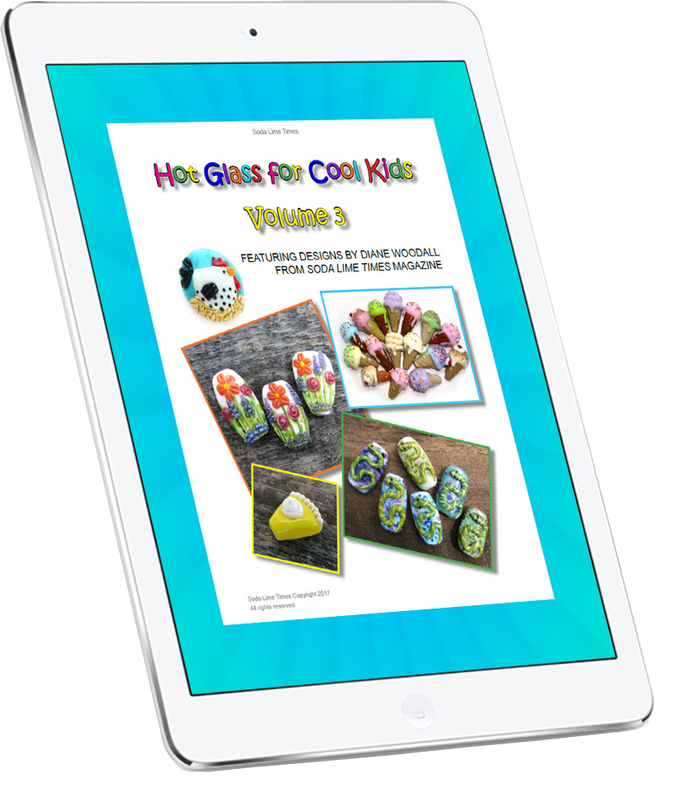 22 top lampworkers from around the world combined their talents to create a landmark book filled with terrific adorable lampwork beads that the kids in the Beads of Courage program will love. Over 100 pages of step-by-step tutorials for the low price of just $20.00. That's only 91 cents per tutorial. 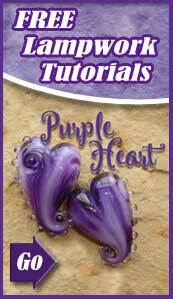 20 top lampworkers from around the world combined their talents to create a landmark book filled with charming, cute and just plain adorable lampwork beads that the kids in the Beads of Courage program will love. Over 100 pages of step-by-step tutorials for the low price of just $20.00. That's 1.00 per tutorial. 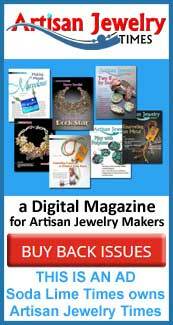 One Hundred (100%) percent of the proceeds of the sale of this book goes to Beads of Courage. Each artist contributed their time and talent. 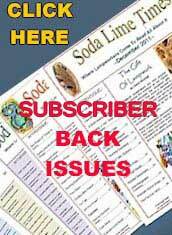 Soda Lime Times Publisher and Editor in Chief, Diane Woodall, also contributed her time, talent and resources to convert the book from dream to reality. Our thanks to all that made this work special by being a contributor. And, a special thanks to those who purchase this book. We think you will find it delightful, inspiring and a feast for your eyes. We hope you will use it to give the Beads of Courage kids something special to honor their milestones and victories. And a special thanks to e-Junkie.com for providing the payment and order processing platform for this Beads of Courage Book free of charge. We have the highest regards for the company and its service, and we recommend e-Junkie.com for anyone who wants to sell electronic media securely on the Internet.